There is more than one way to skin a cat. In climbing there is more than one way to do everything. Here’s why we picked the methods we use at Crag X. The keeper knot doesn’t do anything safety-wise for the climber. Modern practice in the climbing world is to teach two-fists of tail. So that’s what we do. Tie a keeper if you like, we just don’t teach it anymore. It’s a perfectly good belay device with an assisted braking feature that allows climbing to be safe and social and fun. The Gri-Gri doesn’t have to lead to lazy belaying. We know that. The Gri-Gri also widens the weight differnce range. It adds a large measure of safety. It’s not perect, but nothing is. We don’t have a problem with any of these devices. We know the GriGri isn’t perfect. We chose to standardize on the GriGri. You can only back one horse. The GriGri patent expired this year, so expect a flood of new devices. We keep an open mind. We choose to rent and instruct with harnesses that have the old-school double back buckles. Speed buckles take care of themselves, but we have an obligation to teach the double-back. Looking for leg buckles, and putting it on is good practice too. Think how easy a nice modern one-buckle harness will feel once you know the old way. Low Percentage Errors: Is Nit-Picking Worth It? Why do we care about updating climbers techniques for belaying or tieing in? Why change something safe that has served climbers well? Why are we such nit-pickers? Often, it’s not a question of replacing a dangerous technique with a safe one. Mostly, it’s replacing a 90 percent good technique with a 95 percent one. Accidents in climbing are rare. That’s because in the redundant systems used by climbers, more than one mistake has to happen at once. Lowering off the end of a rope on rappel requires two errors - the climber has to forget to close the system, and the rope has to be too short for the rappel. A climber can climb for their whole career, never knotting the end of the rope but each time making sure the rope is long enough. At age 75 they can look back at an accident free career. Does an accident free record make Sally a safe climber? Is Sally an unsafe climber because she never closed the system? Those are hard to answer questions. Here’s an easier one to answer: Would Sally reduce the chance of accident by making sure the rope is the right length AND closing the system? Low percentage accidents are a tough one - two climbers can have accident free careers even though one was untrained and careless and one was highly trained and careful. One (or two) climbing careers just isn’t enough data to make a judgement on technique. We’ve been teaching climbing for 29 years and keeping up with the latest in methods for teaching and climbing safely the whole time. We’ve also been around long enough to see one in a hundred accidents happen and even a few one in 10,000 accidents. Our experience isn’t enough on its own. We belong to professional organizations and follow the advice of industry and professionals world wide, and we also contribute to the development of standards for safety. Then we pass that information on to our staff and then to you. When one of our young staff offers advice on how to do something, remember that it isn’t a case of safe vs unsafe or pitting their personal experience against yours. Instead our advice comes from the collective experience of a worldwide effort of climbing professionals and industry to make climbing safer. Unlikely things happen to less than 1 percent of the community, but the climber involved gets 100 percent of the consequences. Be a part of a community where good practice is the norm, where climbers look out for each other, and give (and take!) advice in a positive spirit. The great outdoors it isn't. But blatantly fake indoor rock climbing walls are getting a grip on increasing numbers of Victorians who hanker after year-round, all-weather workouts. These walls mimic some of the wilderness challenge but offer short stints close to cold pop and a soundtrack that ranges from rap to Dean Martin. And you don't have to be a die-hard outdoorsy type. Indoor climbing is on the ascendant with complete novices, kids who once relied on the tallest tree in the neighborhood as well as dedicated mountaineers. Group home worker Katherine Dacombe has never had a foot hold on an outdoor rock face in her life. But for the last eight months, she and her husband have been climbing the walls indoors at Crag X three times a week, getting a sense of climbing in a controlled, safe environment where people who know what they're doing hold the ropes. The walls reach about 10 metres to a ceiling in a one-time welding shop near the Bay Street Bridge where huge doors let blue sky pour in. She was scared when she first started, but now she knows she's safe in her harness. "As long as you trust your partner, it's not scary. You fall all the time. It's normal. That's how you push yourself to realize the next level a little beyond your skill level whereas outside you don't want to do something you're not comfortable with. The workout might not do much for your cardio but after a day here you definitely feels a lot more of your muscles, some you didn't know you had, says Crag X owner Nikolai Galadza, a hip 25 year-old with a finger on time-off trends. It's probably more dangerous to ride a bike around town than it is to climb at Crag X, says Galadza. Prices run at $12 for an adult day to an annual student pass for $245 to five kid sessions for $50. Galadza got into climbing on the Niagara Escarpment, became an instructor and fell in love with Victoria a few years ago. Coincidentally, it was one of the last major centres in Canada that didn't have a climbing gym. Despite its proximity to natural wonders, there is little in the way of rock face to compare with Squamish, hence his centre. The centre sets up the anchoring and rope systems for the 27 routes up the walls which are changed every two months to keep the challenge intact. He counts on Crag X for off-season training but before it was on the scene, he built his own small climbing wall in the basement for the off-season. The facility is also a place to meet fellow climbers and take pleasure in taking control. Brothers Luke and Nathan Duffus, aged seven and 12, have been climbing the walls ever since Luke had his first visit on his birthday. "He's been hooked on it ever since,'' says his mother, Kim, unfazed as her boys clamber all over the place with intensity and commitment. "The first time on the ledge, I shaked,'' Luke recalls. But no more. The Glanford Grade One student now finds it thrilling. Rock climbing is not about dragging yourself up with big arms, says Galadza. "Some women who can't do one chin-up can climb circles around the guys here who work out regularly. It has to do with balance, technique, using your legs and body... Women tend to be stronger to their weight than guys. They're more flexible, so movement in their hips is easier and they have a better sense of balance. 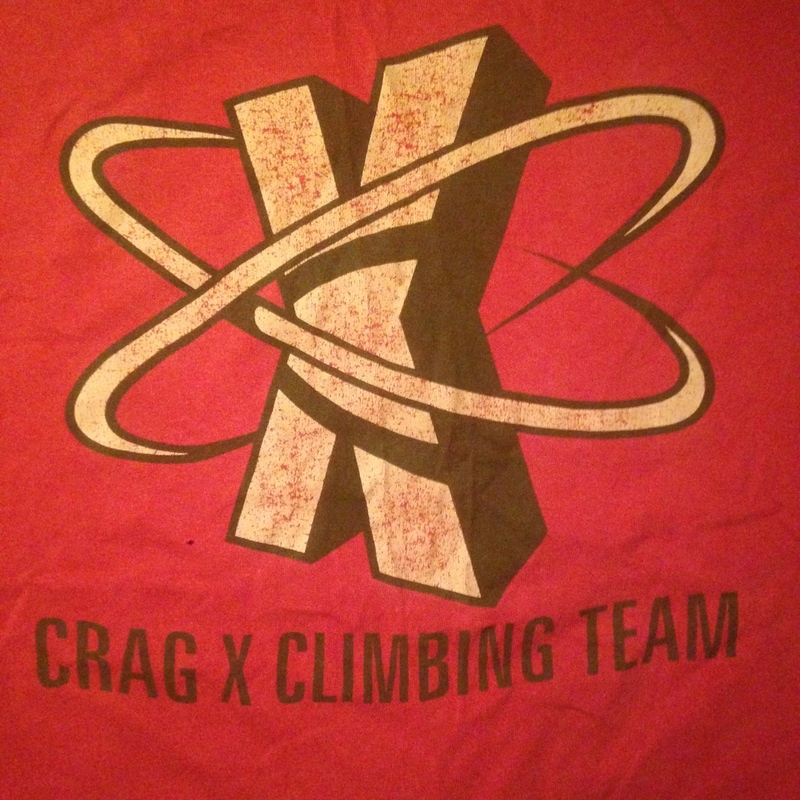 Crag X has a women's clubs and is starting one for teens at risk. Indoor Ice Climbing? How does that work? Thanks to Drew and Mario, the MoonBoard is up and running! Not sure about how it works? Take a gander at this little film. Filter through 12,000 problems by grade, benchmark or rating. Add problems and keep a tick list. Make problems for others to try. Track your progress and attempts. Make yet another profile on an app. Think to yourself 'Holy crap do I need my phone for everything now?' Or ignore the tech and just climb. The angle and hold design translate into training that really shows up outside on rock. It's pretty hard though, it starts at V4. Our setup is Moonboard 2016 and have the Original School Holds, School Holds Set A, School Holds Set B and installed the LED kit, so get the MoonBoard app for maximum blinky goodness. Available for both APPLE and ANDROID pocket computers. Need help with the app? Get video tips. ALL PROBLEMS START FROM A SITTING POSITION. ALL PROBLEMS START TWO HANDED. IF THERE IS ONLY ONE START HOLD YOU NEED TO START WITH MATCHED HANDS. PROBLEMS MUST START WITH BOTH HANDS ON DESIGNATED START HOLD OR HOLDS AND FINISH WITH BOTH HANDS ON DESIGNATED FINISH HOLD OR HOLDS. THE RULES FOR WHICH FOOTHOLDS ARE ALLOWED ARE INDICATED IN THE PROBLEM DETAILS. THERE ARE 3 OPTIONS. 1) FEET FOLLOW HANDS. 2) SCREW ON ONLY. 3) FOOTLESS. WHEN STARTING A PROBLEM, YOU MAY USE ANY OF THE KICK-BOARD FOOT HOLDS. ALL KICK-BOARD FOOTHOLDS ARE PLACED SLOPEY SIDE FACING UPWARDS. ALL START HOLDS MUST BE ON ROW 6 OR BELOW. ALL PROBLEMS FINISH ON THE TOP ROW OF THE MOONBOARD EITHER MATCHED IF THERE IS ONLY ONE HOLD OR ON SEPARATE HOLDS IF THERE ARE TWO. YOU MUST HOLD THE FINISHING HOLD/HOLDS IN CONTROL FOR 2 SECONDS. YOU ARE PERMITTED TO USE ANY PART OF THE NUMBERED HOLD. MATCHING AND HEEL HOOKING IS PERMITTED. THE GRADING SYSTEM IS EITHER FONT OR V GRADES. YOU CAN CHANGE THIS IN THE APP SETTINGS. We offer the Elderid Ohm for sale to climbers that are mismatched in weight. It is a cam-type device embedded in a quickdraw that is clipped to the first bolt. We sell them at retail. It works really well when used correctly and opens up climbing partnerships that are not possible without it. 1. It should only be used by climbers that are more than 1.4 times weight difference. Using it with climbers who are close in weight will lead to very hard catches and an increased chance of injury. So a 90lb belayer can use it with a climber that is at least 126lbs. A 125lb belayer could use it with a climber 175lbs or more. 2. Look at the Elderid site (http://www.edelrid.de/en/ohm/) and watch the video on use before you try it and ask our staff about its use. We finally feel like we are open. Although we let the first climbers in back on November 30, it only just now feels like we've moved beyond thrashing to get things up and running. It was a big transition for us moving into a space with so much to offer climbers and so much for us to do. We had to hire more people to help us run Crag X. We had to really focus on figuring out together where we would draw the line on safety for lead climbing. When you're trying to figure out what 'the rules' are going to be you realize that there is a wide opinion about what is acceptable, what is best practice and even what is dangerous. We think we've got it now. Next steps is broadening what we teach to help climbers make the transition to the outdoors. Lots has been added to what we can offer too. Not only were we able to welcome back lead climbing to Crag X (last seen in the 90s!) we have added auto-belays (and removed them, and sent them back, and put them back up again) and stand-alone no-interfereing-with-climbing bouldering too. And a water fountain! (Seriously, you have no idea how much we hated putting plastic bottles into the world.) Perhaps the biggest change from John Street is the studio. Finally a place to do all the stretching and working out that we all had to do in the nooks and crannies of the old gym. There's more to come in that space, with early morning workouts and stretching/yoga classes in our plans. It's a great place for talks (Island Lines-yay Sean!) too. There is still more in the works - comps, courses, features, clinics and more. We'll let you know as we get closer. We're still finishing construction here and there. Our new goal for ourselves is to have a fully operational battle station by November 30, 2016. We are so happy to be able to bring you all back in. We can't wait to show you Crag X. Help us figure out the kinks and work out the good ways of doing things. It's entirely possible that we change our mind on policy stuff once we see how it works. Thanks for your understanding. We can only do so many Lead Tests in a day. We'll get through you all as quickly as we are able. We want you leading as much as you want you leading. 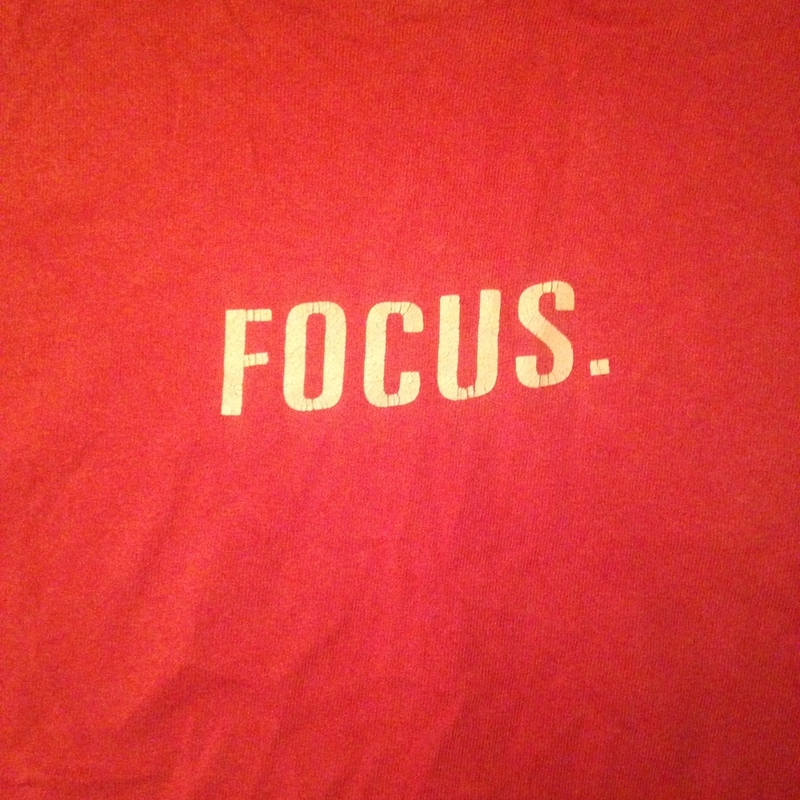 Please have a look at my post on Leading at Crag X to get a sense of what we are looking for. Practicing might be a good idea. The walls are amazing. We have lots of routes up and more to come. We're setting nearly non-stop. Many days of long days and now we need a day to ourselves. We're closing down the site Saturday and taking a day off. We need it. As much as you want us open, we want it more. Walltopia is done. Plaque up. Tools down. Plamen and the boys on their way to the next climbing wall needing building. Now it's our turn to really give it hard. We are behind where we thought we would be, but the shipping delays and aggressive Walltopia timeline are behind us know. We're starting a massive load in of our flooring tomorrow at 9am and then we are giving it until it's all over. Our plan is to get the mezzanine open first so that all our friends with the climbing shakes can get their fix. Setters have been on the wall for a few days, putting up plastic as Walltopia works below. Once the city gives us occupancy (Tuesday?) we'll put out the call. Fingers crossed for Wednesday evening. The last push is on, thanks for waiting. At the end of the month we'll have a final party on John Street, burn a couch, and then close down the first twenty years of Crag X. The new gym is looking amazing. Nikolai and I can hardly believe ourselves when we see the walls materializing in front of our eyes. Shapes that started as discussions and sketches and folded note cards on Molé breakfast tables are now towering over our heads. Crazy. Soon all the things we want to offer Victoria climbers will be ready on Pandora Street. Leadable everything, dedicated bouldering, easy to clean bathrooms. Lockers, training equipment (and space for training! ), clean air, warm air, and natural light. Tons of holds, tons of T-nuts, tons of options for route setters to make their magic and give us that pleasure that comes from working our bodies at something that feels both natural and adventurous. A lift. A great big open space to share with friends, walls to teach us the satisfaction of perseverance against our own limits. A meeting place for a community that values participation and effort alongside athletic achievement. Auto-belays for when the challenge is personal or the goal is zenned-out training. Or when the goal is just an hour on your own. A nice place for Drew and Silva and Milah and Sean and Leslie and Jaimy and Kirsten and Harrison and Lee and Spencer to work. PS This was supposed to be a post reminding everyone that once we close down on John Street, our 13 for 12 months deal disappears. So consider yourself reminded. We're looking at a mid November opening date. We found out this morning that the shipping containers holding our climbing wall won't be arriving to Vancouver until September 28 and then on to Victoria. The promised date for arrival in Victoria was September 9th. This means that we won't be meeting our October 15th opening day target. We don't yet have a new target date for the opening, but we hope to have one soon. 1. We will remain open at John Street until October 15th, and possibly later. 2. For anyone who bought a three month or year membership, we will be extending your expiry date. Your membership won't start until we open the doors on Pandora. It just means your free climbing on John Street lasts a little longer. 3. Anyone who bought a shorter membership to 'tide you over' till the new gym will be able to upgrade by just paying the difference. Ask at the desk for more details. We are disappointed in the delay. We'll update you all as soon as we have a better handle on this. Thanks for all the support and for your understanding. 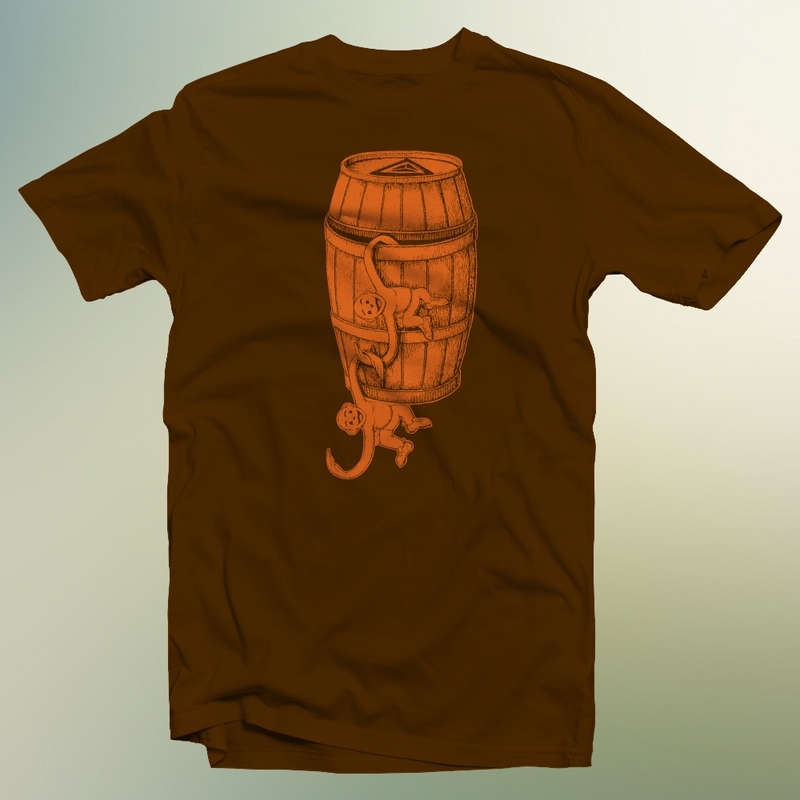 We've been digging through our bottom drawers looking for all the old t-shirts we've ever made. Check out the gallery below and let us know if you have one that's not pictured. We'd love it if you could send us a picture. Take a good shot and send it to info@urbancliffculture.com and we'll add it to the gallery crediting you. No, we weren't hacked. Anybody know what cliff this is? It looks amazing. We've done the math and read the tea leaves. We've figured out a price list that will make this all work and get you all climbing for the best price we can offer. First, all memberships are valid in the new gym at their regular expiry date. In fact, we'll be adding time to make up for the change over close down. Same goes for punches left on your punch pass, they never expire. For a limited time, the year pass is $800 and starts the day we open on Pandora. That means you're climbing for free on John Street. Buy it today and you're getting 13 months for the price of 12. Existing membership? You keep your expiry date and we credit you any time between closing on John and opening on Pandora. Talk to us at the desk for details. For now, the day pass, punch card and one month rates stay at the old rate as long as we are on John Street. We will be announcing prices for our Beginner Lesson, Lead Lesson and other programs (including things like morning yoga) once we work them out. There will be member discounts on programs. Once we open on Pandora, we will also be offering a monthly Electronic Fund Transfer (EFT) membership for ongoing climbing at a monthly rate. No contract. No cancellation fee. Adult $172 first month and $72 per month thereafter. Student $159 first month and $59 per month thereafter. Use the EFT Membership to create your own membership of any length. For a 3 month membership by EFT an adult would pay 172+72+72=$316 instead of our $300 upfront rate. Want a four or five month membership but we don't offer them? You can make that happen with our EFT Membership. When it's time to cancel, let us know. Taxes are extra and prices may change at any time.